When I first saw the advert for the entire Velvet Smooth Electronic Nail Care System I just knew I had to get it. I have THE WORST NAILS! And please, do not tell me to ingest more calcium or to take a multi vitamin and drink 50 glasses of milk a day. I have tried it all! Okay, well maybe not the 50 glasses of milk part..
My point being that I have horrendous nails and I struggle to get them looking pretty. I have tried all the “at home” purchases available without much luck, but seeing this on the stands at Clicks seriously got my spirits lifted. 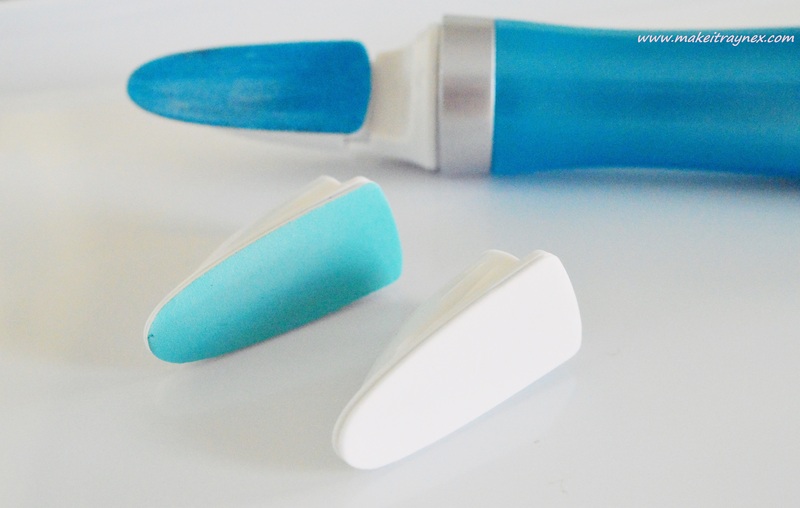 Gone are the days of using numerous emery boards which all become pap super quickly. Jeez, I cannot even count how many of those four-sided emery boards I probably have lying at the bottom of handbags.. This has also already caused quite a stir amongst beauty gurus too; when I Snapchatted the kit, I had so many people messaging and asking questions, clearly everyone loves the look of it. 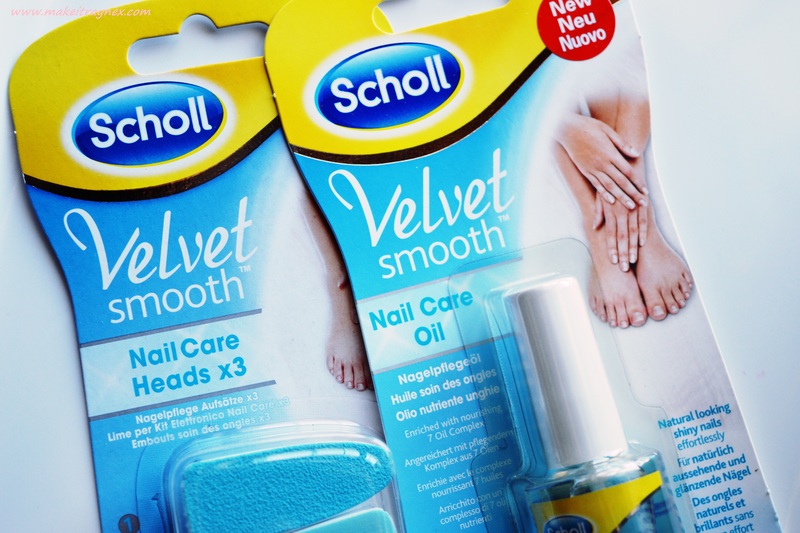 Even my own granny asked me if I had “heard of the new nail kit from Scholl”! And I have even seen other bloggers write online that this is the only nail file they will ever use in the future. Hows that for a compliment?! 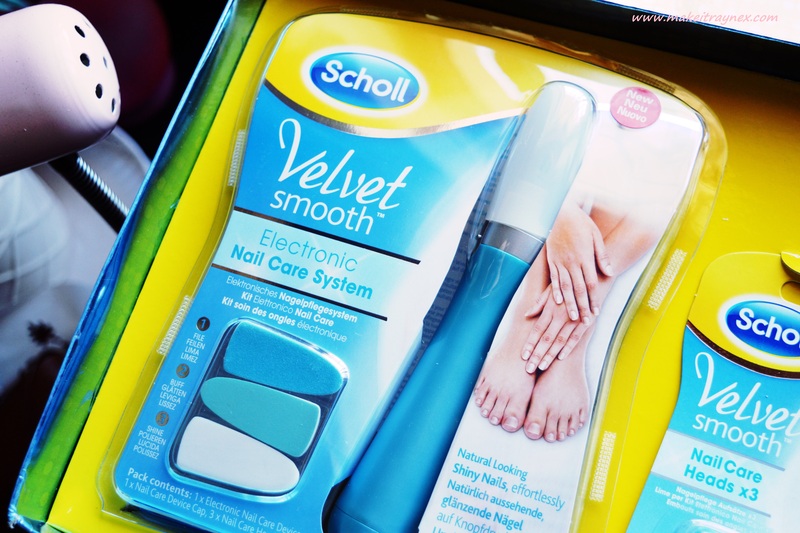 Scholl’s Velvet Smooth Electronic Nail Care System is an electronic nail file with three different heads for filing, buffing and polishing both toe and fingernails. It works with an AA battery, which is included in the pack. 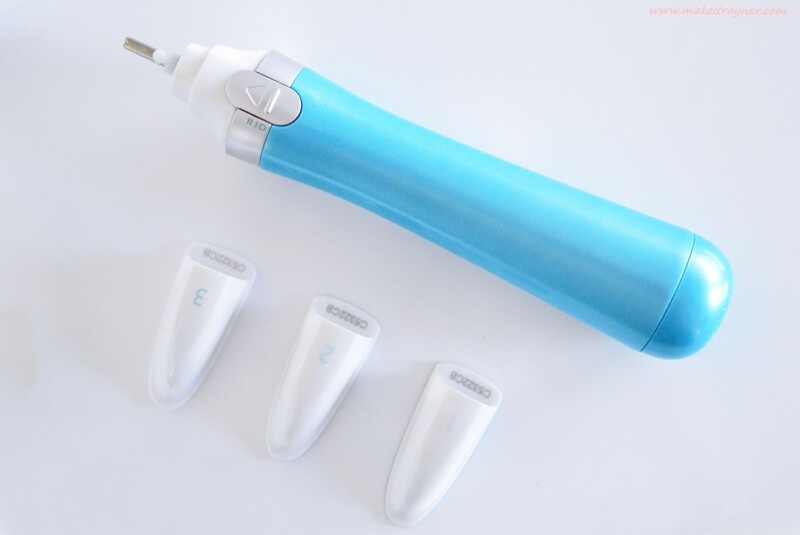 With the electronic nail pen every stoke’s angle is the same, which helps create the desired nail shape faster and with more precision than traditional, manual nail files. Offers a natural shine without clear polish. Delivers professional results at home. Saves time with fast application. Offers a simple and easy to use solution. Provides a convenient solution for home and travel with its compact size. Step 1: File the nails in the desired shape after putting the file head on the nail pen. Switching it on and choose your desired speed from its two speed options. Step 2: Replace the file head with the buff head and gently move it over the nail surface to even out imperfections. 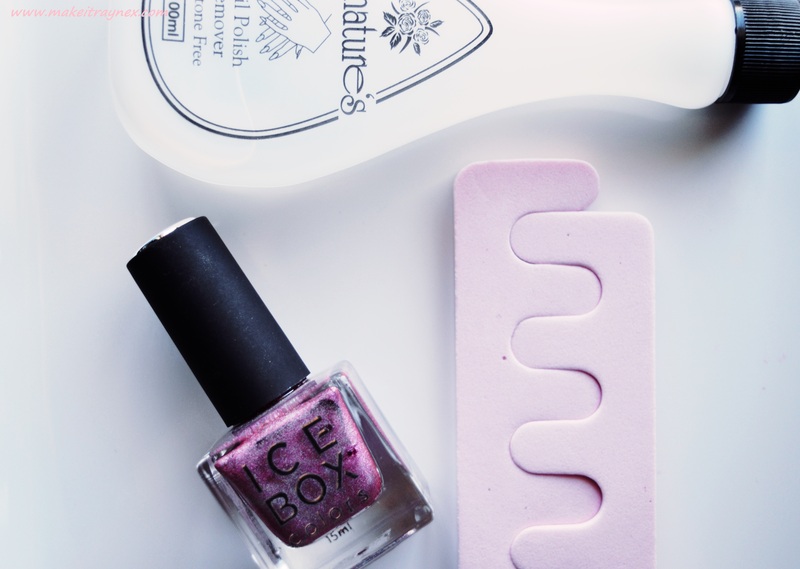 Smoothen the nail surface for no longer than 15 seconds per nail, every two weeks. Step 3: Apply the shine head and polish the nail surface in a circular motion from side to side. Applying light pressure for best results. For the perfect finish, apply the rich cuticle and nail oil. It contains a nourishing 7-oil-complex. Please note, the cuticle oil is not a necessity, but it will get your nails looking better than ever! Super cute additions to the press kits. 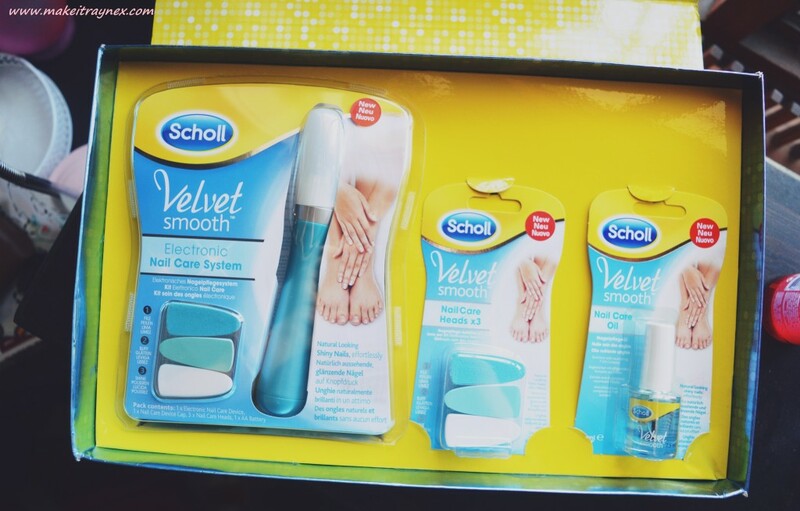 The Velvet Smooth Electronic Nail Care System is available from at Clicks, Dischem, PnP and Takealot.com from February 2016 at an RRP of R489.99. Also available are the Velvet Smooth Nail Care Oil at R139.99 and the refill head at a recommended R114.99. A little Make It Rayne tip? 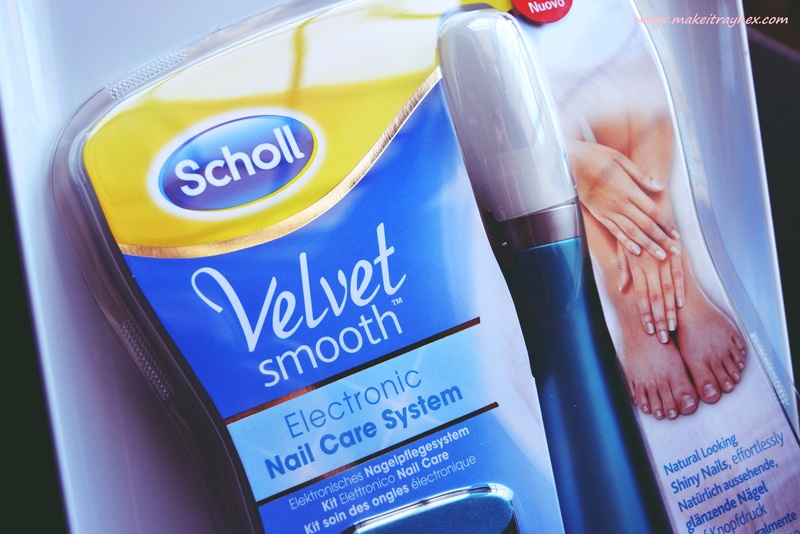 The Velvet Smooth Electronic Nail Care System is available from Takealot for only R420 right now! Now, don’t you tell me that you are not dying to get your hands on this!